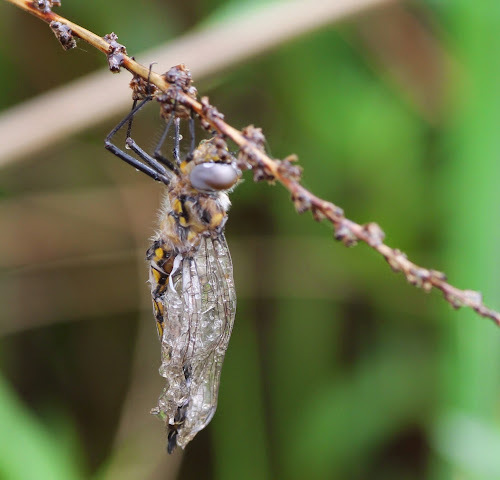 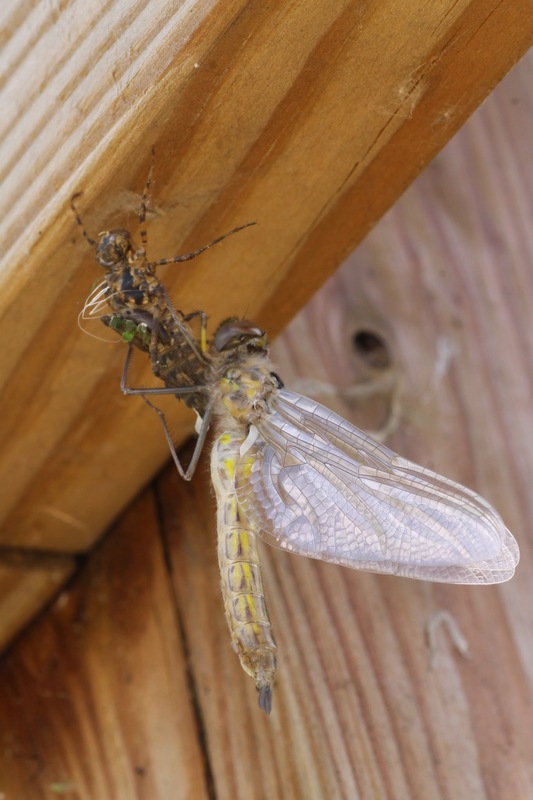 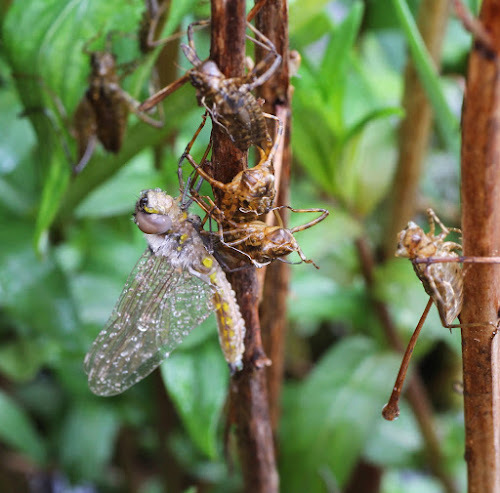 Over the weekend the annual mass emergence of Common Baskettail dragonflies, Epitheca cynosure occurred at Westwood Hills Nature Center. 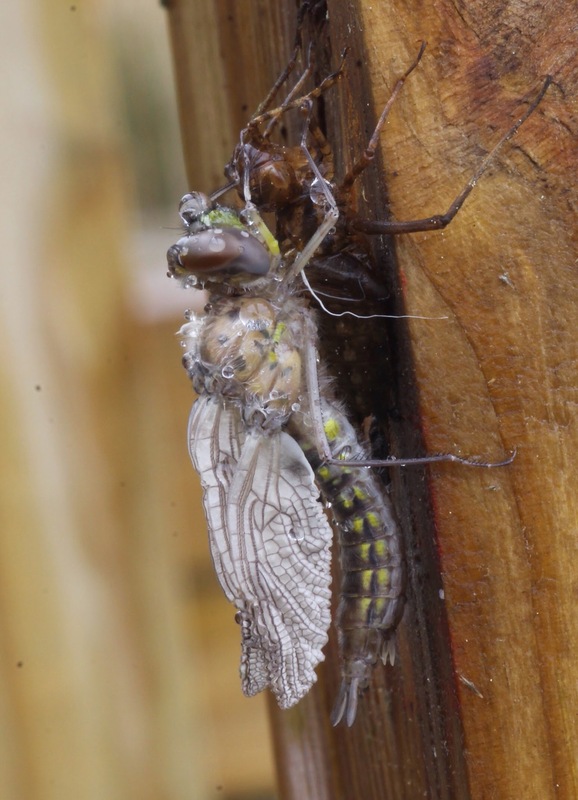 This event usually happens within days of a large midge emergence, which happened earlier in the week. It poured rain later in the afternoon, and then the next day was cold and windy, which undoubtly made the transition from aquatic, nymphal life to terrestrial/ aerial adulthood difficult. 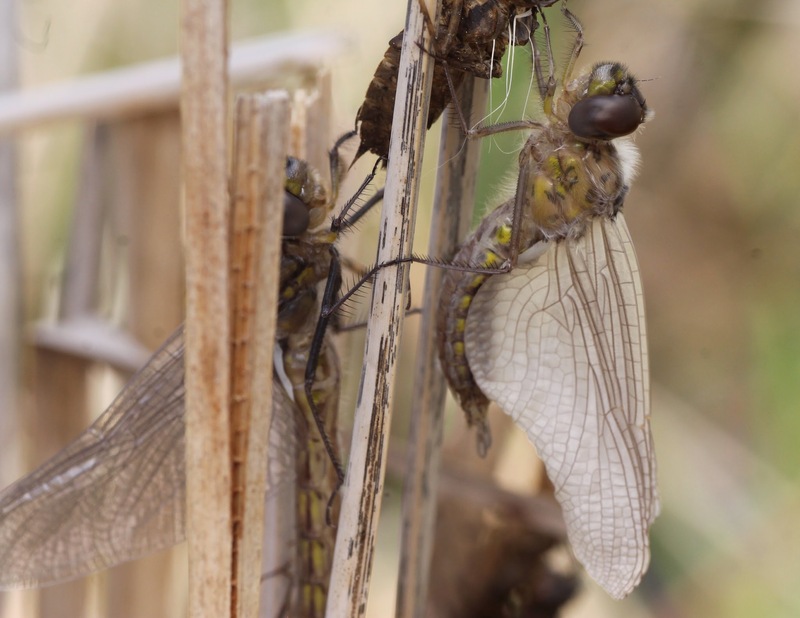 I wonder if there will be noticeable fewer Baskettails flying about this spring. 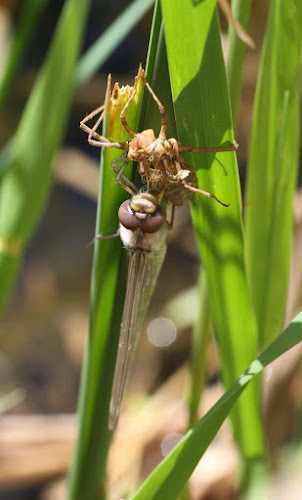 I didn't get a good photo of one actually splitting out of its nymphal skin, but wedding parties kept filling the dock up photos - of themselves, not the dragonflies.